exploring the intersections of faith and life, church and mission. Like many Minnesotans, I am a regular Target customer. There are several that I visit on a regular basis – one near my house, another near work, and another “on my way home.” It use to be that I could visit a Target store in Apple Valley, MN or Fargo, ND or Anaheim, CA and easily find my way around because the layout of the store was basically the same. Sure they had different items (especially seasonal ones), but overall there was, what seemed to me, a universal pattern. Recently that pattern has changed. For example, the Target by my work in St. Paul added a liquor store at one of the entrances. And the one “on my way home” had the home decorating items laid out in a display similar to someone’s living room. While I can still find the groceries and cosmetics, sporting goods and books, over the past several years I have begun to seen changes…most of them subtle, but some a bit more dramatic. Last night I had to get groceries (and a few other things), so I went to my local Target and noticed more changes. In addition to the redesigned self-serve check-out lines there were several displays “between departments” that integrated various items from across the story and created “real life” scenarios. One scenario was all things “heading to the beach” and another was “what you need for your office.” It was interesting because they took things from different sections of the store and they put it together in a way that made sense to me. It was how I use their products at home. (A chair from the furniture section, with a pillow and rug from home decorating and a book from the book section with a Mother’s Day card sitting right next to it.) Not only that, but they put them at intersections or places that I would pass for various reasons. It was like they had mapped people’s travel patterns and were creating hubs throughout the store. While I noticed this new feature, I didn’t think much of it the rest of the night, as I had groceries to put away (along with the other items – planned and not planned – that I had purchased). From departments toward “real life scenarios” – The universal pattern that I have come to appreciate at Target had all of the products separated into departments. If you want to be efficient, that’s a great plan, right? Well maybe. It is what I grew-up with and what I was use to, but sometimes the separation isn’t the most helpful. Take this example – Let’s say it’s summer and I’m having people over for a backyard BBQ and I forgot the marshmallows, chocolate bars, and graham crackers for S’Mores. That’s a lot of running round to get three items. And some time, like before the 4th of July, I’ll find S’More stuff in a display together, but mostly these three items live aisles apart. You see departments cluster things with the idea that like will be with like. But often times, things don’t fall neatly in those categories and/or items that are often used together are separated. But Target is taking the “S’Mores display” a step further. What if items where both/and? What if putting things together, rather than separating them, was most useful? And what if, like the S’Mores display, these “integrated” displays changed on a regular basis? 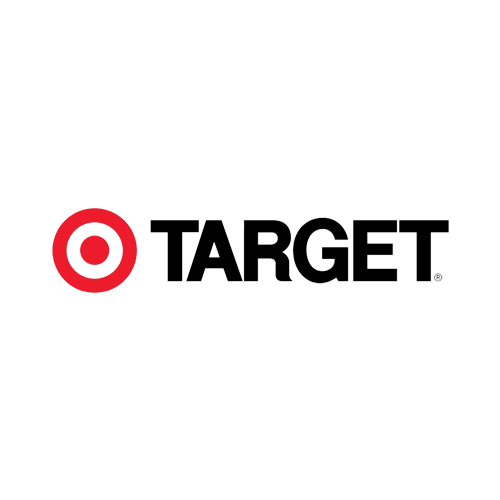 Like Target, congregations have believed departmentalizing was the best way to help people navigate ministry opportunities. But maybe those days are changing? Maybe what is most helpful for people wanting to engaging in ministry is “putting the pieces together” in a way that reflects their everyday life? Target didn’t throw out all their departments as they began this new approach, and congregations don’t have to either. What I learned from Target is that a shift is taking place, from segregation and efficiency toward integrated and “real life.” And for now, we live in a hybrid. Tending to flow and intersections – I personally don’t mind numbered aisles and orderly traffic patterns. In fact, I love being efficient. But what I noticed when Target created these new “real life display areas” is that they caught my attention. I slowed down, stopped and looked at several items. And not only did my pace change, my mood did as well – I didn’t feel like I was in a warehouse, but rather in a more “intimate setting.” Sure, this might seem like an exaggeration, but think about the difference between going to a large chain store and a small boutique. What if you could create a bit of both in one? Tending to traffic patterns, or the people’s patterns, congregations create create smaller meeting points that brought people together from various “departments.” If you could create such an intersection, what would you do in that space? What might invite people to slow down their pace and have conversation? What Hayim and I did discover is that intersections, hubs, help not only information flow, but also are meaningful in cultivating relationships. I’m not ready to say congregations should become Target. What I am suggesting is that there are lessons to be learned from a variety of places on how people can gather in meaningful ways. We as congregational leaders need to pay attention. It is time to rethink our patterns, because people’s patterns are being reshaped in all areas of their lives. And changing patterns is not about being novel, it is about realizing that the way congregations remain faithful is by engaging people in ministry. Therefore, stepping back and reflecting on what we are doing and while is so important. This entry was posted in Leadership, Leading in a Connected World, Uncategorized by terrielton. Bookmark the permalink.